looking, originally uploaded by still awake. 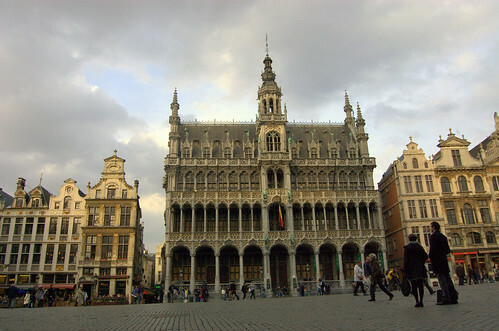 This entry was posted in Uncategorized and tagged Brussels, Grand Place, Photography. Bookmark the permalink. Brussels Grand Place – just gorgeous. Awesome pic – you can’t see it from this angle or distance but there is an error in the cornices and decorative pieces on the front of that building. The way folkore tells it the architect only saw it when the whole construction was complete, walked up to the clock tower and plummeted to his death on the cobblestones below thanks to his despair. Will point out next time! !